Expensive bearings are discarded daily because it is assumed that their reliability has expired. In most cases, these bearings could be reclaimed at a fraction of the cost of new. Caster Maintenance has gone to great lengths researching and investing into the latest, state of the art technology that allows them to be the leader in Bearing Maintenance. Several repair technicians and management staff have been extensively trained by OEM Bearing Manufactures to become certified in the task of ameliorating bearings. In depth training, contrasted with many different styles and processes have allowed Caster Maintenance to revolutionize the Bearing Industry. Caster Maintenance has developed an exclusive ameliorating process. 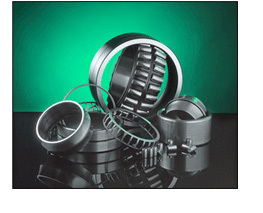 By employing the "SMART" system, we've become the leaders in the Bearing Maintenance Industry.